Comments! You guys are sharp – I'd love to increase validity of my results by improving study design. I will start data collection in 3 days (the 11th of October, 2018). It will continue until the 21st of October. I track time spent using my calendar, syncing it to Timely for insights. Once a day, I review my entries. I look specifically for entries that went better or worse than expected, or took longer or shorter than planned. This allows me to ensure that I repeat whatever made the task go well, and avoid what went it go worse. Why are you doing the action you're experimenting with? How can you observe the effect of this? What's the best way of measuring it? Randomised controlled trial (RCT), days are cluster-randomised (cluster size 5) into either voice- or written review. All analyses will be completed as "intention to treat". Adherence will be quantified as %. No preliminary analyses will be completed. To measure 1., I will make an excel list of insights. I will rate all of them at the end of the experiment, blinding myself partially (randomising order and hiding which intervention was randomised to). Points will be rating squared. The metric will be % of total points awarded by rater. I will compare interventions by rating squared as a continuous variable. I expect normal distribution and will do Z-tests for P-values. 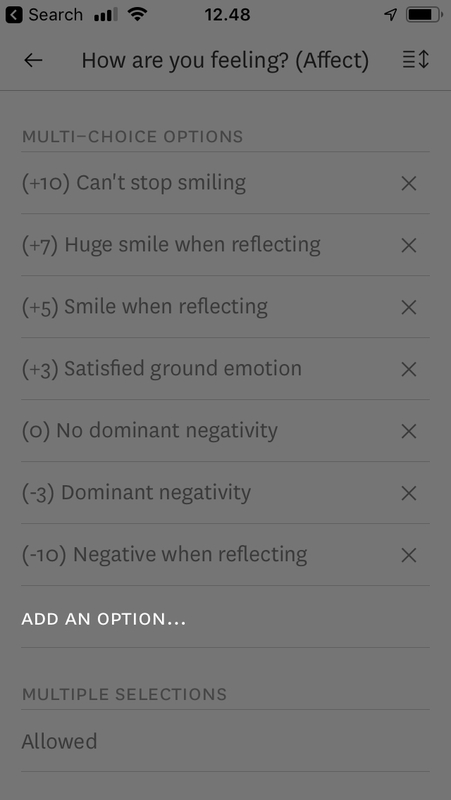 I will track my emotional state three times a day (semi-randomly) and right before I go to sleep using Reporter (iOS). Outcome: Mood-level on the evening of review and the day after. I will also use HRV data from my Apple Watch as a continuous outcome. All results will also be reported as Cohen's d.
What kinds of "interventions" are you talking about? By "cluster-randomised (cluster size 5)" do you mean that each intervention will be tried for 5 days? Why do you expect the "insight" ratings to follow a normal distribution? Does the nature of the work you are doing stay more or less constant? Thank you Ejain! Comments below. I have a diary-template that I'm filling out every day. I want to compare writing with recording my voice. The "interventions" are then voice vs. written. Or, to stick to RCT terminology, randomisation to either written or voice diary. which cluster comes first is randomly selected. This ensures equal distribution between W and V while still getting some randomisation. 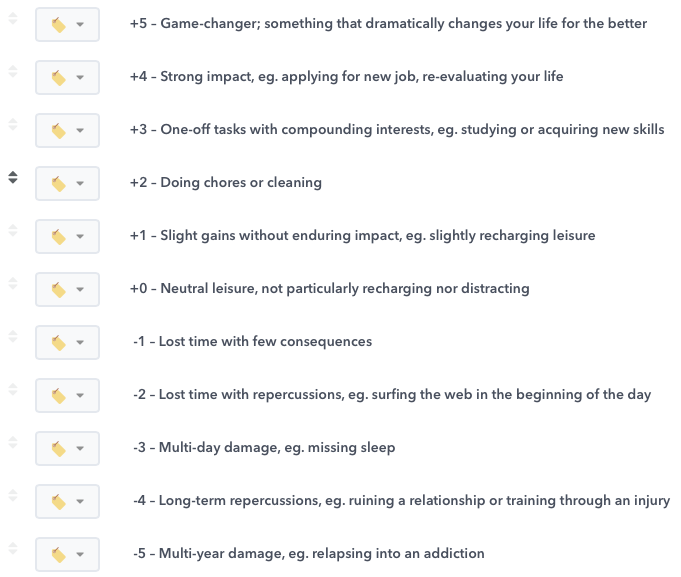 I've applied the same rating-scheme to how I spend my time. In that case, ratings followed a normal distribution with µ ~2,8. Good question! No, it varies more or less between two categories. However, I expect it to be evenly distributed between V and W since I'm randomising.